What crazy things would you do, when you are in love? 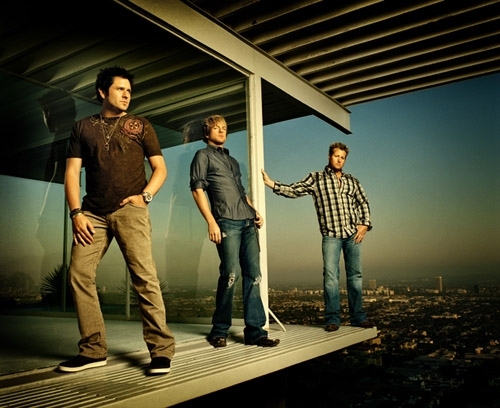 This weekend, while syncing my iPod with my older music database – Rascal Flatts got in to my head. I tried hard deleting this album from my old playlist; “take me there” won’t get deleted. And, it’s not for the first time, it happened even couple of time last to last month. Writing on this just seems like an exercise in futility. 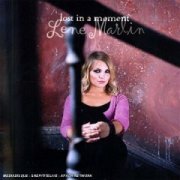 Everybody loves this single, and it spans love in every details, in a deeper way. If you are deeply in love, you would want to go back to those days where (s)he had his/her childhood, hometown, parents, friends and every imaginable things you care for. I don’t know what will happen to you, but I would want to go to! You would even want to know every street (s)he visited, every places (s)he had been … just to know her better and that’s how you can get r-e-a-l-l-y close to her/him. Actually, this song was originally co-written by another favourite country star Kenny Chesney, but when he decided not to record the song for his album, he gave it to Rascal Flatts. Sweet! I hear you saying that. I had been a great fan of Vikram Seth. Okay, do you really remember his prose fiction “Suitable boy”? It sold over one million copies worldwide and the fact is, it is 1,349 pages long …. I took a week time to grasp it! His poems makes me healed sometime. 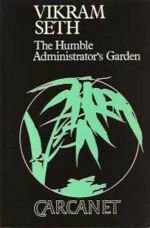 The Humble Administrator’s Garden was my first encounter with Seth includes Mappings (1980), The Humble Administrator’s Garden (1985), the best piece, I believe. It was a winner of the Commonwealth Poetry Prize (Asia). I really love few poetries from “The Humble Administrator’s Garden”. Here is an excerpt from “From California”. or … this is what he talked about in another peom “Homeless” .. The local FM station carries mostly RFI (Radio France International), all day long here in Congo, except sometime they tend to reach-out with Swahili too. I find Swahili has got similar phrases from Arabic and sometimes Bengali too (sigh). Ahh, you don’t believe that? 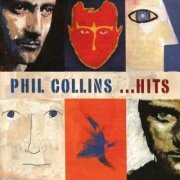 Okay, back to my point, yesterday, they aired “Everyday” from Phil Collins. It was so soothing that I got stucked up for 5 minutes or so. Yes, it turned back the clock. I was in Jessore, then. Installed the new Sat reciever, been watching the MTV all day long. I used to wait for Asian top 20 hits …. where Phil with “everyday” was topping the chart for 5 consecutive weeks. Do you remember Nonie, (hope, I spelt it right) the DJ host of MTV, Asia? She was down to earth MTV host at that time. I guess, Nonie was my second crash. Why wouldn’t she? It was all about using words. Back in my pre-twenty days; I was kind of pretty much into Archie’s. Who wouldn’t choose Betty over Veronica, whose wealthy flashy lifestyle was distinctively different than Betty’s middle class upbringing? Archie, Veronica and Betty’s love triangle was kind of similar footing what I’m watching these days. The song starts right from this scene! As the song was on; Rufus was listening to that old Lincoln Hawk’s vinyl after they (Lily and Rufus) had a great old timer chat. Here, the sound engineer did a subtle switching getting the music from background and forth. The best part was that when Jenny came back to get Blair to have her keys back. The words between Jenny and Blair were stunning from … that ……. “Catch!” to “Done and done”! Script writers did a splendid job; not to mention about those guys who chose the right soundtrack for that moment! “Gossip Girl” who writes the blog here, added the following in a very romantic way: “If Blair’s got to watch her back, Serena needs to keep an eye on her heart. We hear it may have been stolen by Lonely boy”. Dan is our everyday boy who has troubles like we all have. The background music was like it was so done for this episode. I had troubles getting to know who sang it. After skyping with lots of my friends; I figured out it was Something Like That but not from Tim Mcgraw but Tim (The Band) from LA. A new band, as usual! The character’s prevalence in the book series, Gossip Girl is not exactly what we get out of these television episodes. I’ll cover that later. Portraying a character like Dan takes long time. He has a kind of offbeat personality, and I feel insecure about Serena. After reading the book series, I see the break-up is inevitable. I don’t want to see them breaking up, but what can you about it? And, that’s how our real life is also based on. The great challenge, moving on. I’m kind of clinging on to Serena’s side; getting hurt is kind of everyday affair to her – being such a good girl right at this moment. Life is unfair, I hear you saying that. True, it is! But not as we know it. New Days and far flung Memories! 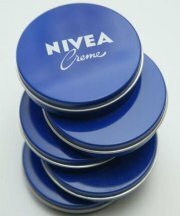 Nivea was a kind of a home brand in Bangladesh. I used to see my mom using that famous Nivea cream from my childhood. I never cared about applying creams all over my face but my mother won’t let me to go to that much anticipated afternoon play without it! Sometimes she used to get hold on me and then apply that cream all over my face forcefully – before I was to set out for afternoon play. Because, I didn’t want to. Old habits die hard – I’m still not into any cream at all! And, when I went to Germany for the first time; I asked my mom that what should I bring for her. Yes, you’ve guessed it right! She merely asked for couple of big Nevia cream packages! I used to see the magical things with this little blue pot. The unique and distinctive Nivea smell – which is one that can take me back to my childhood years – is not quite so obvious now so I think they must have altered the ingredients somewhat over the years. Do you remember that Nivea TV commercial where people were shown from all round the world? It has scenes from Rio de Janeiro, Brazil to Dallas, Texas to New Delhi, India. Most intriguing part was that the whole commercial is pretty shiny with a soothing tune. Though, it has several localized version targeted for different regions but all starts with motorbiker’s shaving scene from Victoria, Australia. I would rather love the part of a mother who was with her two sons in a hokey game in Hamburg, Germany. Also, the tune gets to it’s higher scale from this part. You might ask the same from the scene from Galway, Ireland but that’s not shown in Asian version. This resembles my golden childhood days. A large part of this effect is perhaps from the accompanying song by Asher Lane – New Days. 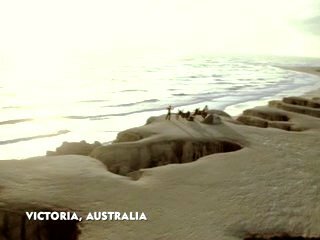 First time when I saw this commercial; I was in Europe – couple of years back – and now a days I mostly see this commercial in Star World, ESPN and other Asian TV networks. At first, I thought it was Robbie Williams, cause it was so much sounded like him and then this German band popped in! It is a great song, it is! Do you have the song? And, if you s-t-i-l-l could not figure out what the commercial was, here it is! You might need a quicktime plug-in for that. Wish I could turn back the clock.